There are a lot of popular brands of skin whitening products nowadays. Those that are being sold on the market obviously cost too much for our budget. So, if you love to mix up things in your house, then why not try do-it-yourself skin whitening solutions at home? In this way, you can save some money than when you buy commercial ones. 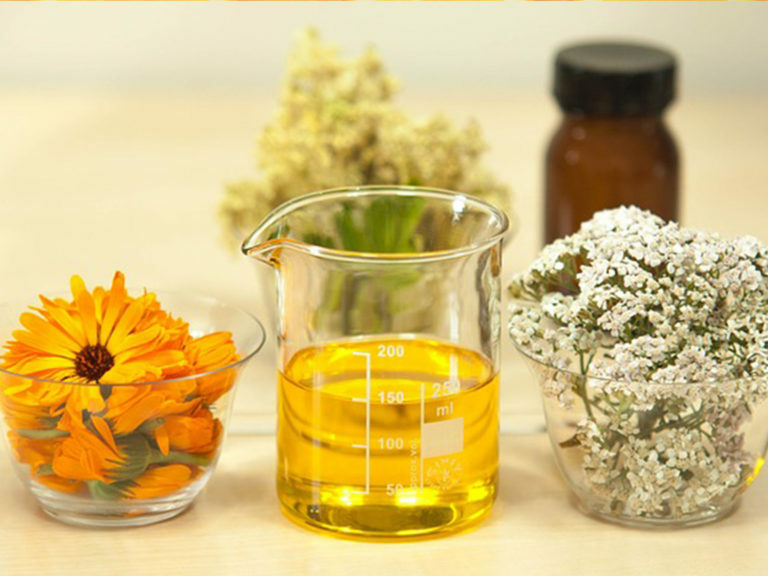 Below are the DIY skin whitening formulas that can transform your dull skin into a lighter one! Papaya is the most popular component of whitening products because it contains the enzyme papain. This enzyme boosts exfoliation and skin cell turnover along with vitamin A to decrease dark spots. All these further lead to skin whitening effects. On the other hand, honey has antibacterial ingredients that nourish and protect the skin. When they are used together, they make a great mask that can instantly whiten your skin. • Pound ½ cup of fresh papaya pieces until you get a smooth and thick paste. • Add 1 teaspoon of honey to this paste and mix thoroughly. • Apply this paste onto your face and leave on for about 20 minutes. • Rinse off with warm water and rinse again with cold water. You may repeat it frequently as you want for even and brighter skin. 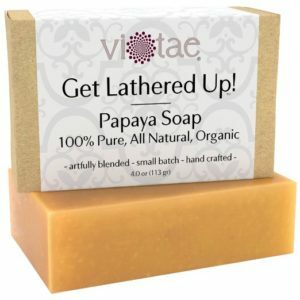 You can also try this papaya whitening product: the Vi-Tae Organic Papaya Soap. 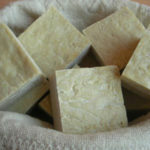 This soap is handmade and contains USDA organic plant-based ingredients. It’s 100% pure, vegan, and safe for all skin types. It contains no parabens and alcohol. Papaya is best for skin brightening while oranges are great for natural skin whitening. Oranges are a wonderful source of vitamin C, which is not only necessary in keeping the skin healthy and glowing but also is a melanin inhibitor that helps naturally whiten the skin and makes dark spots disappear. 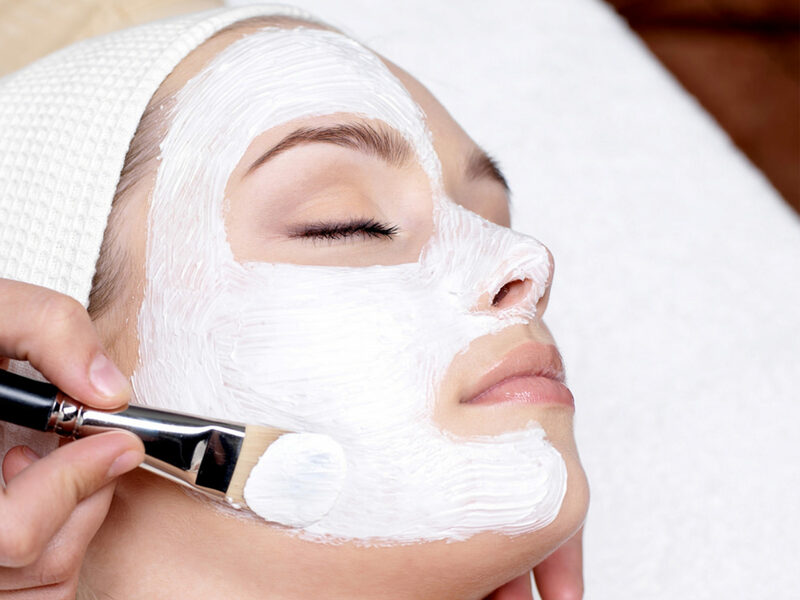 Yogurt consists of lactic acid which is a mild exfoliant that helps eliminate dead skin cells. This is done so that vitamin C can penetrate deeper and better. Yogurt also has healthy amounts of calcium, zinc and B vitamins that can help keep the skin nourished and healthy. So together with orange, it is a fantastic tag team! • Dry a small number of organic orange peels in the sun for 2 to 3 days. • Once they are nearly crisp, grind them until they turn into a powder. • For convenience, you can just purchase organic orange peel powder. • Mix 1 tablespoon powder with 1 tablespoon of unflavored yogurt until you have a smooth paste. • Put this paste onto clean skin then leave on for about 20 minutes. 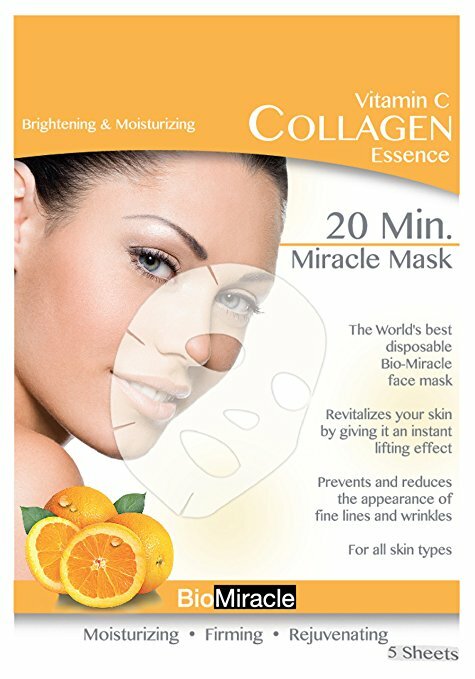 If you don’t want the hassle of preparing, you can try this Bio-Miracle Anti-Aging and Moisturizing Face Mask, Vitamin C. It reduces fine lines and wrinkles, brightens skin texture and has a firming effect. Vitamin C masks are fantastic but they only stay on your skin temporarily. Which is why it’s great to follow it up with a more powerful Vitamin C serum and you can make one up for yourself right in the relaxation of your home. • Pure Ascorbic Acid powder. There are some Vitamin C mixtures but ascorbic acid is the most effective. Make sure you get a fine powder as it’ll be much easier to dissolve. 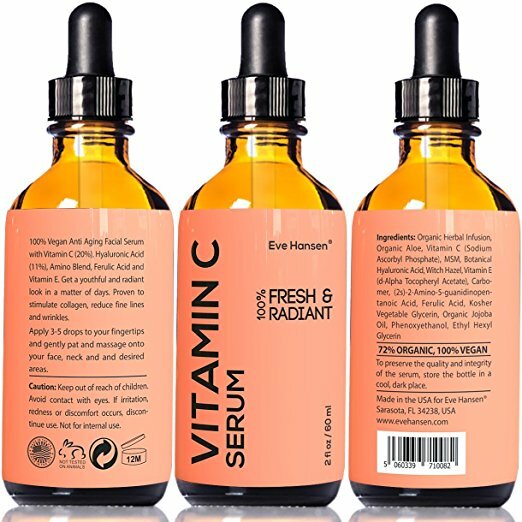 If you don’t want to go through the hassle, you can purchase vitamin C serum online. One of the most effective ones is the Vitamin C Serum – Facelift in a Bottle #1. This Vitamin C Serum is made with Certified Organic ingredients with the highest potency of Amino Blend, Vitamin E, and Hyaluronic Acid. It is free from paraben, alcohol, and fragrance. Sandalwood powder has been long used as a whitening agent because of its skill to inhibit tyrosinase action which in turn decreases melanin production. On the other hand, almond powder delivers essential nutrients that brightens the skin and offers a grainy exfoliation to eliminate dead skin cells. Finally, milk such as yogurt is a natural chemical exfoliant that has lactic acid which helps speed up cell turnover. • Apply this paste onto your skin and leave on for about 20 minutes. This three ingredients greatly complement each other, providing you a mask that will not only offer you a whitened complexion but will also keep your skin glowing and healthy. Remember that this mask can be somewhat drying so just use a few times a week and follow it up with moisturizer. Arbutin is a naturally-occuring colleague of hydroquinone that is found in bearberry extract and has the ability to whiten your skin by deactivating tyrosinase, an enzyme accountable for generating melanin. It is one of the best effective all natural skin whitening elements. Arbutin is a completely natural, botanical-based compound that has similar skin whitening benefits as synthetic hydroquinone without those side effects or risks. To create Arbutin lotion, simply mix 100% pure bearbearry extract into your favourite cream or lotion. 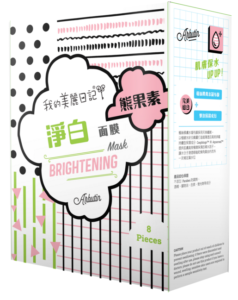 If you don’t want to prepare it, take a look at this My Beauty Diary Arbutin Whitening Mask. 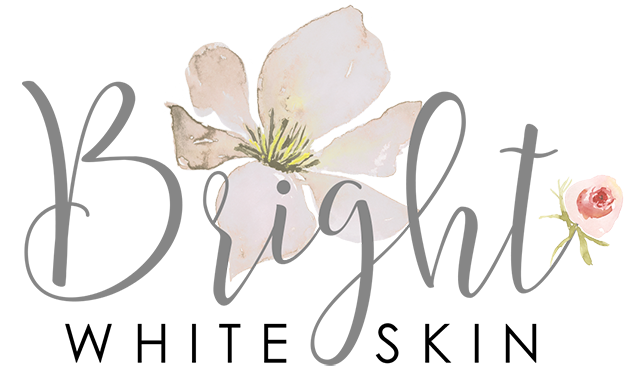 My Beauty Diary’s Arbutin Whitening Mask’s popular whitening ingredient, arbutin, is mild and comes from the ova ursi plant extract of vaccinium genus. This ingredient has superior effects in purifying, whitening and brightening, building a protective barrier that resists melanin. Moreover, Arbutin breaks down melanin beneath the stratum corneum, allowing skin to be whiter, and more radiant for a flawless and even toned look, whilst establishing an efficient melanin free system. Pumpkins are such an underestimated skin brightening elements. Actually they are loaded with antioxidants and exfoliating acids together with vitamin A, beta carotene, and vitamin C, which all help in whitening and brightening the skin. They’re also packed with fruit enzymes and alpha hydroxy acids (AHAs) that smoothen and brighten the skin through greater cell turnover. Meanwhile, milk is packed with lactic acid that helps speed exfoliation and smooth skin tone while honey is recognized for its antibacterial properties and moisturizing. When the two added together, you will have a mask that will nourish and whiten your skin. • First cut a pumpkin into numerous pieces then boil them and put them in an immersion blender to create a pumpkin puree. • Mix 2 tablespoons puree with ½ teaspoon of honey and ½ teaspoon of milk until you have an even paste. • Put this paste to your face and leave on for about 20 minutes. • Rinse it off with warm water. If you have sensitive skin, you can try this scrub. Aloe Vera is a multipurpose, fantastic skin soother that have over 75 nutrients, 12 vitamins, 20 minerals, 200 active enzymes and 18 amino acids. On the other hand, rice flour is filled of ferulic acid, paraaminobenzoic acid, and allantoin, amongst others that defend and whiten the skin. Rice powder has been revealed to inhibit tyrosinase, an enzyme involved in the development of melanin pigments. Additionally, the fine roughness of the rice flour creates the great natural exfoliant to eliminate dead skin cells and impurities that have mount up on the skin. • Submerge the gel side of the leaf into the rice flour. • Rub this mildly on your skin in circular gestures for a few minutes. • Rinse it off with warm water and again rinse with cool water. 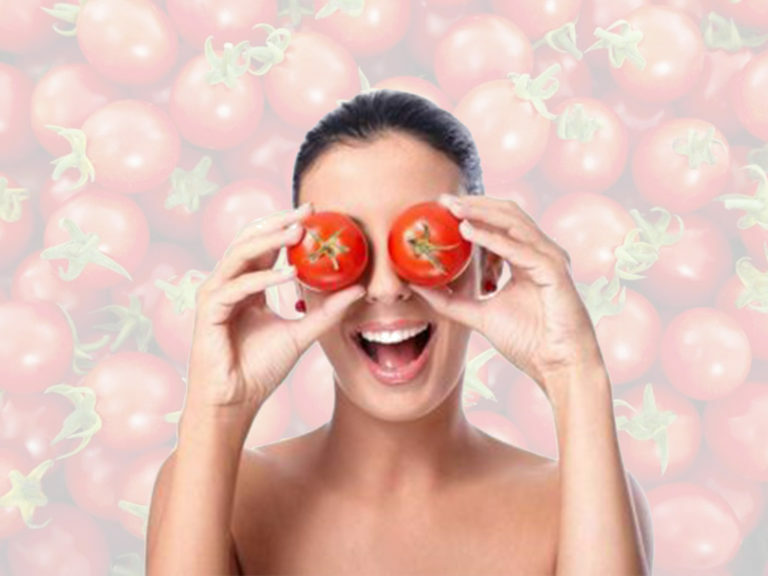 In this mask, all you just need is a yogurt, tomato and oatmeal. These three when mixed together will provide you an effective skin lightening mask that will make your skin glowing! 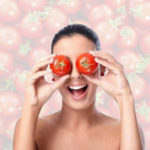 Tomatoes are packed with antioxidants, specifically lycopene, which has been known to offer protection from free radicals. Yogurt is a by-product of milk that has lactic acid, a natural exfoliant. It also has calcium, zinc, and B vitamins that all helps in keep the skin healthy and whitening it. Finally, oatmeal is an effective exfoliant that sloughs off deceased skin cells and helps whiten dark spots, scars, and discoloration. Its proteins, lipids, and antioxidants all nourish and moisturize the skin. • Cut in half the tomato and get a teaspoon or two of its juice. • In a bowl, add this juice with 1 teaspoon oatmeal and 1 teaspoon plain unsweetened yogurt and mix well. • Put this mask onto the skin and leave on for about 20 minutes. What you need for this sour oatmeal mask is just oatmeal and lemon. lf you need for this mask are lemon and oatmeal – these two very different ingredients work perfectly together. Lemon is packed with Vitamin C, a strong antioxidant that whitens skin tone and stops hyper pigmentation. It also aids in sloughing deceased skin cells and endorses the production of new skin cells. It even disturbs the action of the enzyme tyrosinase which arouses melanin production. The only problem is that it’s a powerful ingredient and can be excessive for your skin. Oatmeal, is filled with amino acids, proteins, lipids, saponin, and antioxidants. It’s also very, very comforting, which helps soothe out the irritation and sting that can be caused by lemon juice. • Mash it up after it is cooked. • Add 1 tablespoon lemon juice and ½ teaspoon warm water into the mashed oatmeal and mix thoroughly. • Put onto the skin and leave on for about 30 minutes. As great as lemon juice is, it can be powerful so if you have sensitive skin, go ahead and weaken it with some water or yogurt. Also, remember that Vitamin C does increase sun sensitivity and always keep in mind to use sunscreen before going out. When trying any product for the first time, always keep in mind to first have a skin test on a small portion of your skin to make sure you don’t have any bodily aversions to the ingredients you use. You don’t have to spend too much on the ways that you aren’t sure will work. Sometimes, the best solution to your skin whitening problem is right in your own kitchen. But always remember to protect your skin and love it.and love it.